Hey Twitter members! There's a new feature in Twitter that let's us add our current location in our messages. The following week, Twitter will roll out the Places feature to users in 65 countries around the world. Just make sure to eye on the "Add your location" link in Twitter. Also a note, this feature is disabled as default. 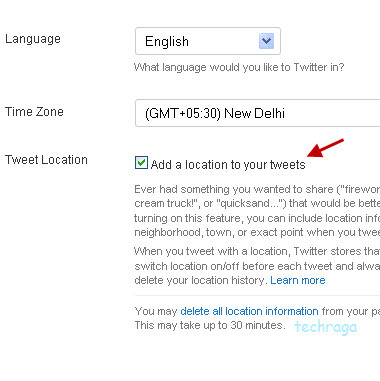 To enable, go to Settings and check the "Tweet with Your Location" feature. The Twitter message with the location as always should not exceed 140 characters. To those location that are not in the list, you can submit it to their database in the near future. This Add Location feature will be available on regular Twitter and mobile version.